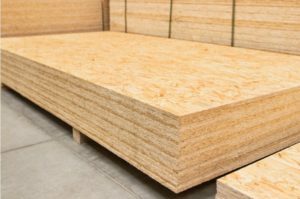 In the past few years, Oriented Strand Board (OSB board) has become a leading product in the global construction trade, taking market share from plywood at phenomenal speed. From an end user’s point of view, the reasons are clear; it’s cost-effective, practical and much more versatile than plywood. In fact, OSB board has become the first choice for many construction panels in some regions of the world. However, there’s more to the remarkable success story of OSB than the fact that it represents excellent value for money (though both the construction trade and their customers certainly appreciate that!). Here at Theo’s Timber, we’re certainly conscious of the value of OSB board as a construction material. Just as importantly though, we’re environmentally aware and work hard to ensure that our products are both energy efficient and as sustainably produced as possible. We want to avoid waste, too and that’s why we champion OSB. Here’s how OSB makes a difference: firstly, it’s made from strands of wood that are derived from small trees. During the manufacturing process every part of the tree will be used, nothing is wasted. The bark, for instance, goes to create energy for the mill producing the product. The trees are from specially planted forests, which saves mature trees. What’s more, the finished boards are safer for contractors to use, due to the newer resins and waxes used in the process. It’s versatile and strong, too. That’s because up to 50 layers of strands, laid alternately laterally and longitudinally, go into the construction of the boards. OSB can be used for sub floor construction, in walls, for flooring and also for decking. It’s available in a range of sizes that can be wrapped and shipped easily. In fact, the whole process is incredibly energy efficient – much more so than other building materials such as steel or concrete. At Theo’s Timber, we take both a longer and a broader view of the effectiveness and potential impact of our products. We like to feel that we’re making a difference, both for our world and for our customers. With OSB, we’re confident of the benefits to both.